Elite 2015 big men Thon Maker and Thomas Bryant were on hand at Assembly Hall for Indiana’s 74-72 loss to Michigan State on Saturday afternoon. Both players walked in to cheers from the pep band and the students before the game, and both received loud cheers from the students as they left the court area after the game. Bryant, wearing an Indiana t-shirt, waved to the crowd as he exited. There were no chants for either player. Isaiah Briscoe and Malachi Richardson were named to yet another All-American team on Thursday, as it was announced the McDonald’s All Americans have also been named to the roster for the Jordan Brand Classic. 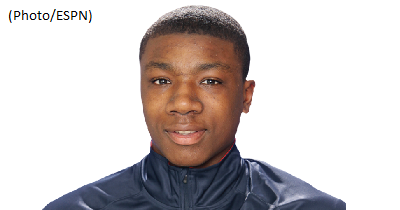 Briscoe, a Kentucky-bound point guard for Roselle Catholic, and Richardson, a Syracuse commit and Trenton Catholic guard, will take part in the game at the Barclays Center in Brooklyn on April 17. Fred Hansard, one of 2017’s top prospects, expressed Rutgers being one of his top schools at this early point in his recruitment. Hansard transferred to the Hun from Camden Catholic and reclassified from the class of 2016 prior to the 2014 season. Tyus Battle, a point guard in the Class of 2016 long coveted by the Syracuse basketball program, has not eliminated the Orange from his recruiting list, his father said today. 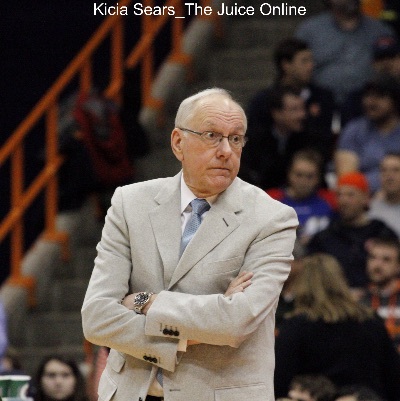 NCAA sanctions, announced last Friday, trimmed a total of 12 men’s basketball scholarships over four seasons starting in 2016-17, suspended head coach Jim Boeheim through nine ACC games next year and put the men’s basketball and football programs on probation for five years. Syracuse landed a quartet of four-star recruits for its Class of 2015. Even after Friday afternoon’s events, it looks like the Orange will get all four on campus this fall. 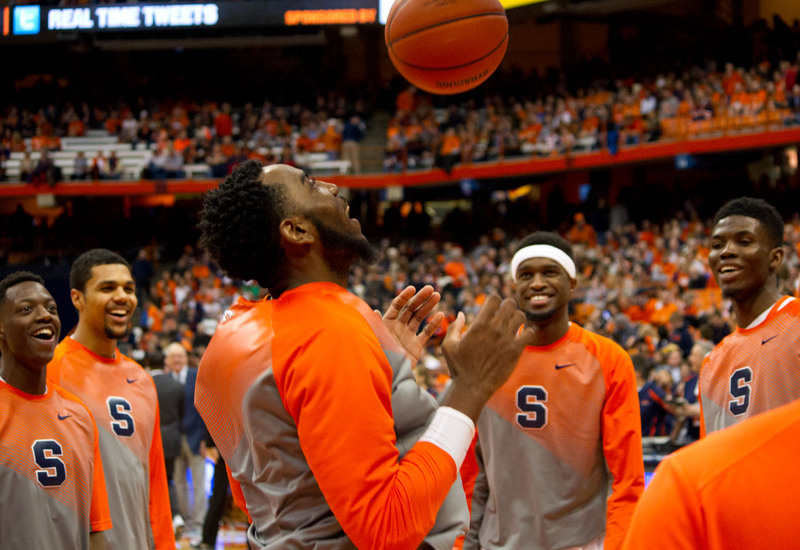 On Friday, the NCAA announced penalties for rule violations committed by the Syracuse football and basketball teams. The sanctions included 108 vacated wins, a nine-game suspension for Jim Boeheim a five-year probation and the most impactful punishment: a loss of 12 scholarships over a four year span. Orange Watch: How long until Syracuse athletics wakes up from its NCAA nightmare?